The SCISSA Inter-School competition provides a holistic approach to health and fitness as well as opportunities for students’ personal development. It also builds co-operative and sportsmanship skills, collaboration and teamwork whilst encouraging corporate and school spirit. By working in conjuction with local sporting clubs and competitions, SCISSA supports the development of sport on the Sunshine Coast in order to benefit students across Primary and Secondary Schools. Students participating in the SCISSA competition will be equipped with the skills and attitudes to continue their involvement in sport beyond their school years. 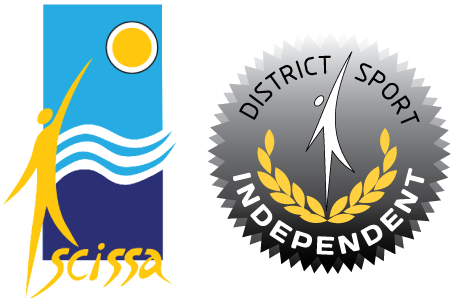 SCISSA is proud of its history and reputation: both of which have been achieved through a passion for students and their sporting endeavours and the hard work and dedication of its staff. Primary campus inter-school sport consists of a full Gala Day at the end of each term. Each Gala Day is preceded by inter-school trial/training days. Secondary/Middle campus fixtures are played on Wednesdays outside school hours commencing at 4:30pm with different sports being offered each term.